John T. Oxley built a liquefied petroleum business and brought world-class polo to Tulsa, but his most recognized legacy is the Mary K. Oxley Nature Center – a wildlife preserve in Mohawk Park. Born on a cattle ranch near Bromide, Oklahoma, in 1909, Oxley came to Tulsa at age 17 to attend school. He joined Warren Petroleum in 1935 and by 1948, was secretary of the corporation. He launched his own company, Texas Natural Gasoline Corporation and sold that business in 1961 to start an exploration company, Oxley Petroleum, with his older son, John C. Oxley. His passion for polo outweighed his business interests. He was captain of the winning polo teams at the U.S. Open in 1961 and 1966 and eventually led the first U.S. polo team to capture England’s Gold Cup, one of the most prestigious polo trophies in the world, in 1970. He played polo until age 83. In 1994, he was inducted into the Polo Hall of Fame as one of the best all-time polo participants in the world. Oxley not only played polo, but also began raising polo thoroughbreds. His Greenhill Farm, near Owasso, became one of the largest commercial producers of polo ponies in the country. 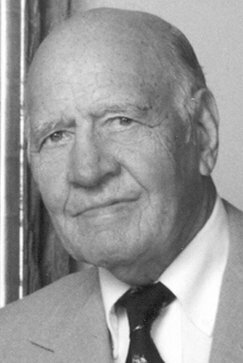 In the1970s, Oxley and his late wife Mary K. helped establish the Oxley Nature Center. Oxley lived until 1996, but his love of the outdoors is shared with thousands of people every year who visit Oxley Nature Center, the 804-acre wildlife preserve that marks the area where the couple often rode horses during their courtship in the 1930s.